Flash #15 Preview is Up! DC has a preview of Flash #15 up at The Source. “Gorilla Warfare” rages on! 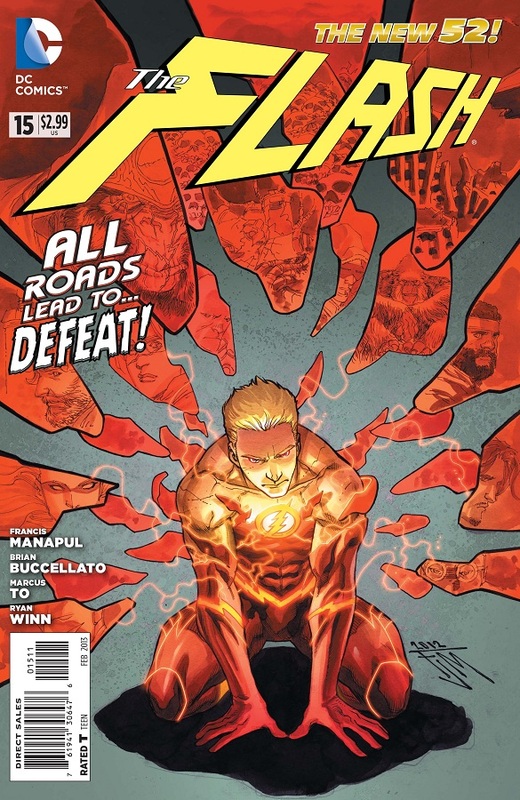 In THE FLASH #15, Barry Allen must go to extreme measures to defeat Grodd while the Gorillas take over the Gem Cities. With his body out of commission, The Flash uses the Speed Mind to glimpse the future, and things are not looking good for him and the Rogues! Can Barry think of a way out of this situation? Or are the Gem Cities doomed forever? From the creative team of Francis Manapul, Brian Buccellato, Marcus To, and Ryan Winn, THE FLASH #15 races into stores this Wednesday. This entry was posted in Flash News and tagged Gorilla Grodd, Preview on December 31, 2012 by Kelson. Writer Peter David suffered a stroke this weekend. He’s lost control of his right arm and can’t see out of his right eye, but is mentally acute (he wrote the first report himself) and joking with hospital staff. 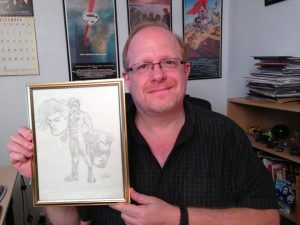 Among many other works, Peter David wrote the entire original run of the Young Justice comic book, which might actually give him the record for the most issues featuring Impulse. 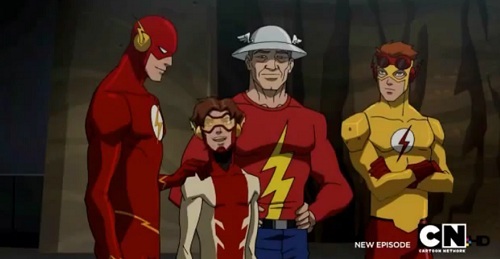 More recently, he wrote the animated Young Justice episode “Bloodlines,” which this blog’s readers voted as favorite Flash story of 2012 just last week. Best wishes to Peter David and his family, and hopes for a speedy recovery. This entry was posted in Creators, Timely and tagged Peter David on December 31, 2012 by Kelson. 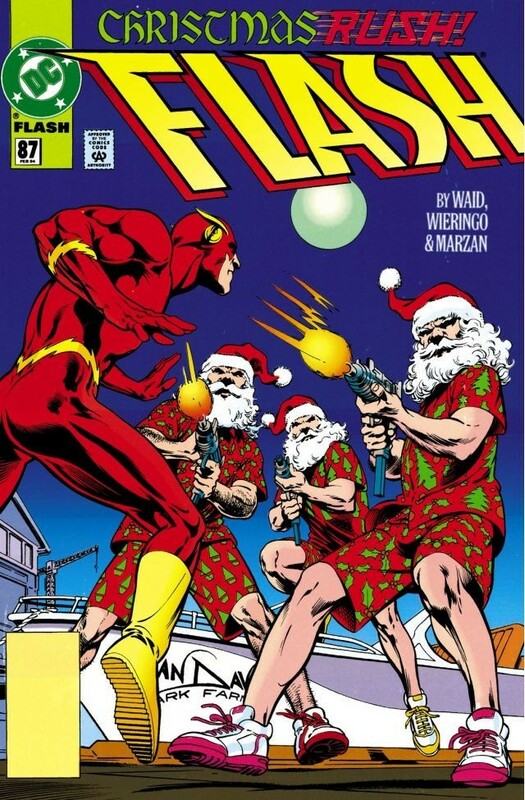 ComiXology’s digital reprint schedule for the 1990s Flash series brings us up to Flash #87 the day after Christmas. Though these Hawaiian-shirt-wearing, machine-gun toting Santas would rather fill up their own sacks than deliver anything to children. Remember the Tamagotchi craze of the 1990s? Kids were as determined to take care of their virtual pets as today’s Farmville players are worried about harvesting their crops. 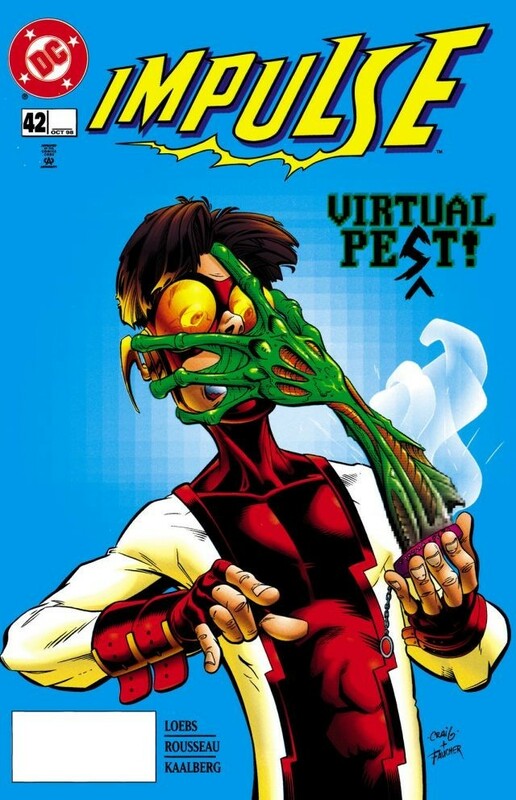 Impulse #42 follows the fad off the deep end, as the virtual pets come alive and threaten the real world. And finally, be sure to check back on Friday for the next chapter of “Haunted,” the Smallville Season 11 story guest-starring Impulse. This entry was posted in Out This Week on December 26, 2012 by Kelson. The FLASHPOINT: KID FLASH LOST mini I wrote in 2011 was sort of the tone we were planning on for that series: serious stories with humor in the mix. Woulda been a belter, too, with Bart, Max Mercury, and Xs returning to Blue Valley, Nebraska to fight villainy…and other super speedsters. Comic Book Legends Revealed brings us a Christmas story with the Three Dimwits — who were basically the Three Stooges, inserted wholesale into the Golden Age Flash comics by Gardner Fox. 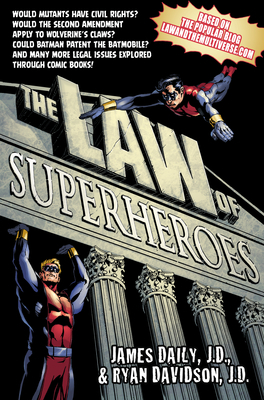 Newsarama tells the story of how Mike Wieringo’s first Impulse drawing made its way back to Mark Waid. Speaking of Mark Waid, his run on the Flash was voted #36 in the Top 100 comic runs as selected by Comics Should Be Good readers back in October, the only Flash run to make the list. Brian Buccellato is writing a revival of The Black Bat, a pulp-era superhero who’s been largely forgotten in favor of that other guy who dresses up as a bat and fights crime. Here are two interviews at Newsarama and at CBR. Jim Zub breaks down where your $2.99 goes on a typical indie comic. There isn’t much left over for the writer and artist. Follow-up: looking at digital sales. Jill Pantozzi has resurrected “Hey, That’s My Cape!” at IGN, starting with a piece of advice that sounds simple on its face, but seems to be hard for comics fans to follow through on: Stop reading comics you don’t like. For me, the last straw was Countdown to Final Crisis. From that point on, I resolved to only read comics that looked interesting, not those that I felt obligated to read. I slip up sometimes, but overall I enjoy my comics more than I used to. 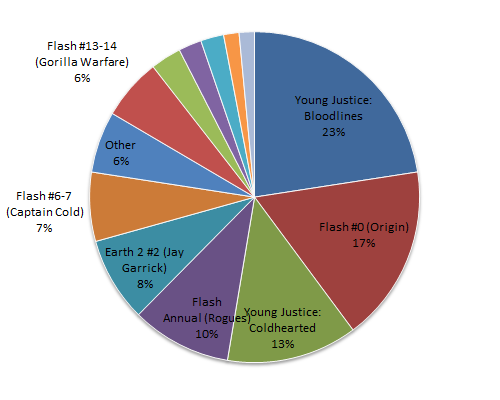 Update: CBR has the results of their poll for who fans want to debut in the New 52. A certain missing speedster handily takes the number one spot. This entry was posted in Round-Ups and tagged Black Bat, Impulse, Linkblogging, Mark Waid, mike weiringo, Sterling Gates on December 21, 2012 by Kelson.